At first glance, the Stone of Destiny looks like an unremarkable block of carved sandstone, but it is a deeply significant cultural artifact. It is known by many names: the Stone of Scone, The Coronation Stone, Jacob’s Pillow Stone, the Tanist Stone, or by its Celtic name “Lia Fail ” (the speaking stone). For centuries, this simple, rough, piece of sandstone was used in the coronation of the royalty of Scotland, and later the kings and queens of the whole United Kingdom. Every name it carries is connected with a different story about its origin, so where did the Stone of Destiny came from? There are many different stories about the stone’s true origin. According to one legend, the Stone of Destiny is connected with Fergus, son of Erc, the first King of the Scots in Scotland. 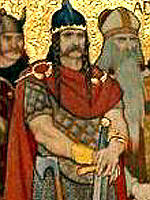 He took the stone from Ireland to Dalriada, (an area which is called Argyll today), where he was crowned. 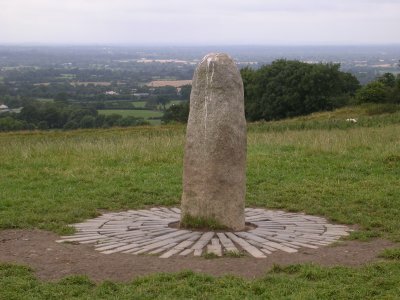 Some historians speculate that this stone brought by Fergus is connected with the “Lia Fáil,” the Coronation Stone of Tara upon which the kings of Ireland were crowned. Another legend traces the origin of the Stone of Destiny to Biblical times. According to this belief, this is the Stone of Jacob (Genesis 28:10–22), the one that Jacob used as a pillow in Bethel. In Jewish chronicles, it is written that this stone later became the pedestal upon which the Ark of the Covenant was kept in the temple. Later, it was taken from Syria and brought to Egypt by King Gathelus. One of the descendants of Gathelus took the stone with him and brought to Ireland where he was crowned as the King of Ireland. Finally, the Scots took it to Argyll. 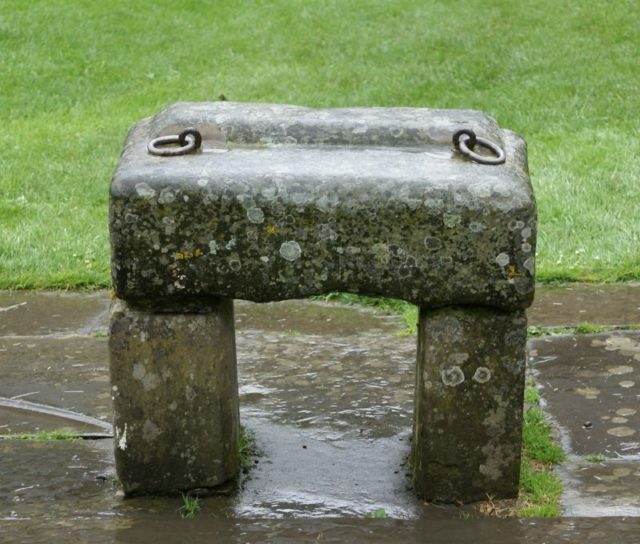 In 841 A.D. Kenneth MacAlpin (King of Scots), brought the Stone of Destiny to Scone, where it remained until King Edward I (“Hammer of the Scots”) came and took it by force. Today, a replica can be seen outside the 19th-century Presbyterian mortuary chapel on Moot Hill. After King Edward’s invading armies conquered Scotland in 1296, the stone was taken to Westminster Abbey. 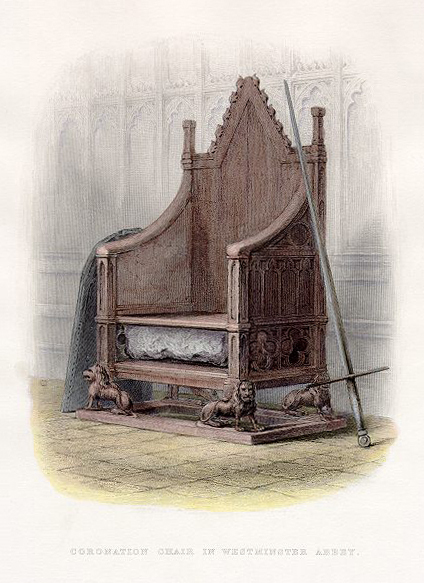 In 1301, the Stone of Destiny (the Stone of Scone) was placed into a wooden chair which became known as King Edward’s Chair. 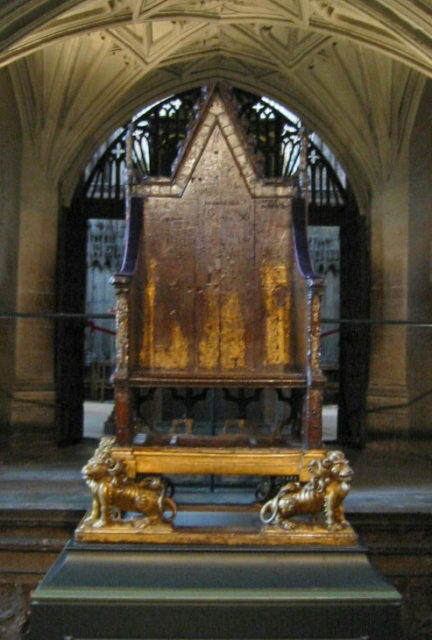 This coronation chair was first used at the coronation of Edward II, and subsequently, every English king or queen has been crowned on it. Although there is some historical evidence for this story, it can’t be confirmed in its entirety. 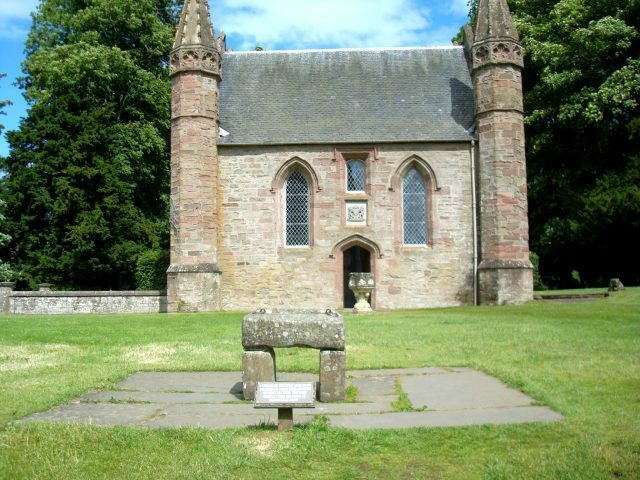 Some historians believe that when king Edward I came to take the stone, the monks in Scone Abbey hid it and replaced it with a similar, fake, stone. Whatever the truth may be, one thing is certain; geological examination of the stone has proven that the stone that was taken to Westminster Abbey is lower Old Red Sandstone, a type of stone probably quarried somewhere near Scone. The history of the Stone of destiny doesn’t end here. The stone changed location one more time, in the 1950s. It was Christmas day in 1950 when four Scottish students decided to take the stone from Westminster Abbey and take it back to Scotland. When they tried to remove the stone from the coronation chair, it broke into two pieces. They took the pieces, which ultimately ended up in the hands of a senior Glasgow politician. He sought the help of professional stonemason Robert Gray, who managed to repair the broken stone. On 11 April 1951, the stone was placed on the altar of Arbroath Abbey, but soon London police authorities found out about the location of the stolen relic and took it back to Westminster. In more recent history, the British Government decided that it would be best if the stone is given back to Scotland and borrowed for the coronations of future monarchs. After 700 years, the Stone of destiny was returned to Scotland on St Andrews Day, 30 November 1996, welcomed by 10,0000 people gathered on Edinburgh’s Royal Mile. The stone was accepted in a formal service at St Giles cathedral by the Right Reverend John MacIndoe. Even with all the formalities and facts, the question still remains. Is this the genuine Stone of Destiny, the ancient one with powers to magically produce sound and proclaim the king that was chosen? One thing is certain, the stone is now displayed at Edinburgh Castle, and the British royalty has been coronated upon it. The Stone of Destiny is the pride of Scotland and a symbol of their independent history.